Once you have your basic list, you can add ingredients according to the recipes you plan for the week. Collect recipes in a binder that you can go to for inspiration. 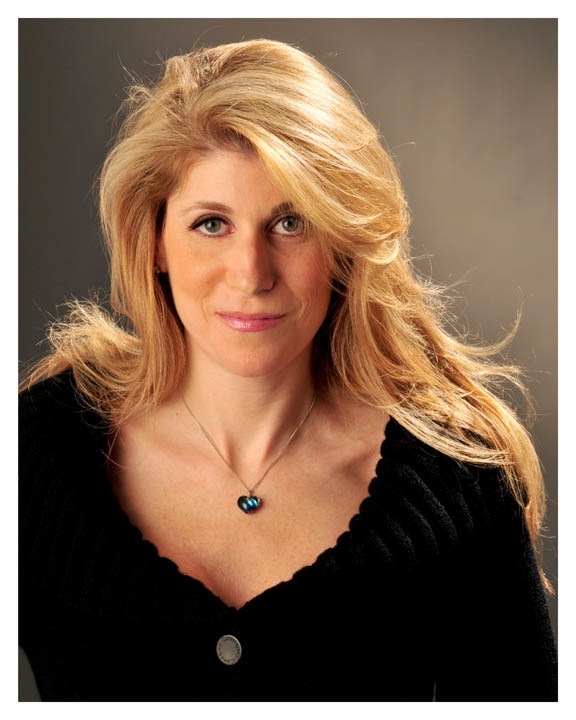 I recommend sites such as eatingwell.com, cookinglight.com and hungrygirl.com. One pot/sheet pan meals and crock pot meals take away a lot of prep and clean up, so they are great options when you are too busy to make a more involved recipe. You can also cook in larger batches and freeze a portion of what you cook ahead. When making sheet pan meals, find a large sheet pan. Use hearty vegetables that can be roasted. Make sure they are uniform in size and use proteins that are not tough (shanks, shoulders or ribs), try chicken breast, shrimp, tofu, and softer cuts of meat such as tenderloin. You can use any seasonings, but at the very least, toss with some oil, salt and pepper. Play around and find the mixes that work for you. One pot meals need a little more prep and organization (but you will save on clean up). When possible, brown protein first, then add veggies and starch. Use high quality stock as a braising fluid. Try to use fresh herbs when possible. Keep in mind that you can prep up to five days in advance, but only three days can stay in the fridge and the rest should be put in the freezer. Pick a day to do your weekly food shopping and food prep. It will save so much time and make your life easier, and you will have delicious and nutritious meals all week! 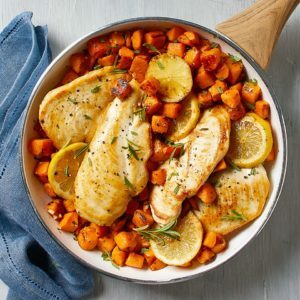 Chicken and sweet potatoes unite with the delicious taste of rosemary in this easy, one-skillet meal. Because we use par cooked and unseasoned sweet potatoes, the cooking time is much shorter—making this recipe perfect for weeknight cooking. In a 12-inch nonstick skillet heat 3 teaspoons of the oil over medium. Stir in garlic, ½ teaspoon of the salt, ¼ teaspoon of the rosemary and ¼ teaspoon of the pepper. Add potatoes; toss to coat. Cook, covered, 5 minutes (do not stir). Push potatoes to one side of skillet. Add the remaining 1 teaspoon oil to other side of skillet. Arrange chicken in skillet alongside potatoes. Cook, uncovered, 8 minutes.